History: was formed on January 1 1986 by Yves Carpentier as Servisair to provide air-taxi services from its base at Wevelgem-Kortrijk. The same year a contract with Fedex was signed to provide parcel capacity on their European parcel network from Brussels. Later on this evolved into the pax charter business as well. On December 26 1989 Frevag Airlines was absorbed creating Flanders Airlines, combining both fleets. 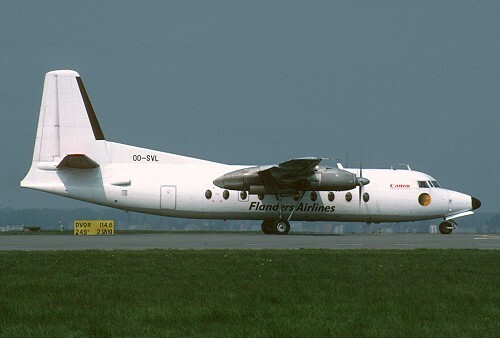 In May 1992 the American company decided to drop its European network which finally led to the closure of Flanders Airlines on October 10 1992.